Elite units were stationed around Moscow. The Warsaw Pact officers were trained in these regiments and they were the ones shown on aviation day and propaganda photos. 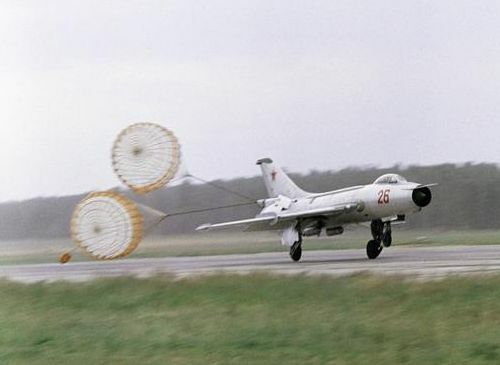 The 234th Guard Fighter Air Regiment flew with MiG-21 Fishbed and MiG-17 Fresco types at domestic and foreign shows. In the Soviet Tactical Airforce, they were the only ones who used the rare MiG-21FL Fishbed-D version from 1966 to 1973. 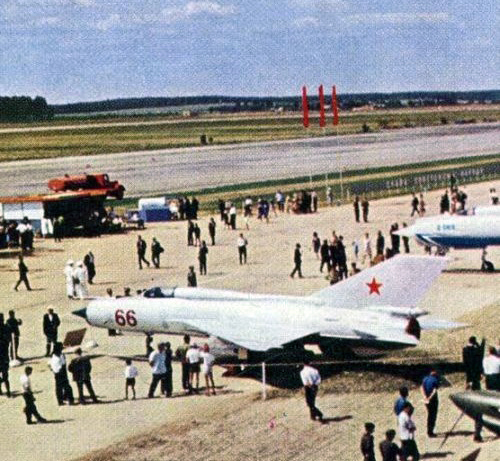 The 234th Guard Fighter Air Regiment’s MiG-21FL Fishbed-D export fighter version on Domodedovo Air Show in 1967. Since the Gorky and Moscow aircraft factory was close, the 9th Guard Fighter Air Division was the first regiment to receive the new MiG types. In 1955 MiG-19 Farmer, in 1960 the MiG-21 Fishbed and in 1970 the MiG-23 Flogger types. 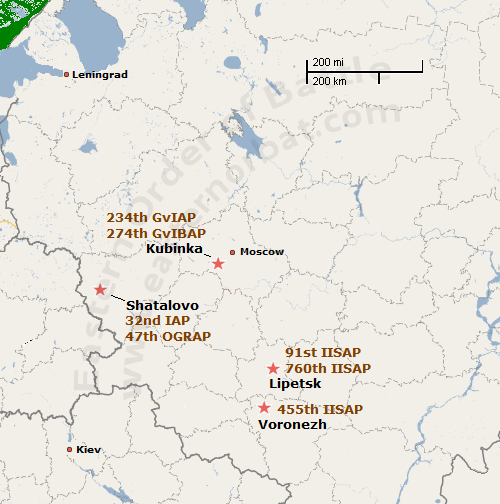 The 47th independent Guard Reconnaissance Air Regiment was a special formation. They weren't only doing Reconnaissance tasks, but pilots from all regiments in the Soviet Union received retraining to Yak-27R Mangrove here. 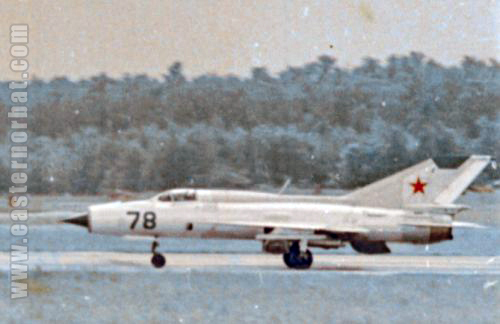 The 274th Fighter-Bomber Air Regiment replaced the old Su-7B with Su-7BKL Fitter-A in 1967.